Mix all the ingredients mentioned above except oil and keep aside for 1 hr. The dough consistency should be thin and watery. With a ladle pour the batter at the center from little height on a non-stick pan and spread 1 or 2 tsp oil. Keep low flame. 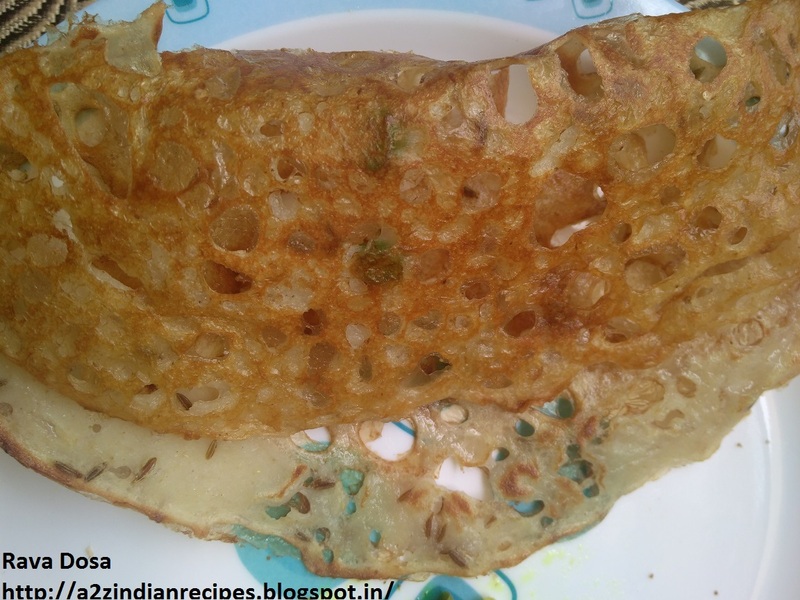 Atleast after 7-8 min base becomes golden or crisp flip and cook the other side also. 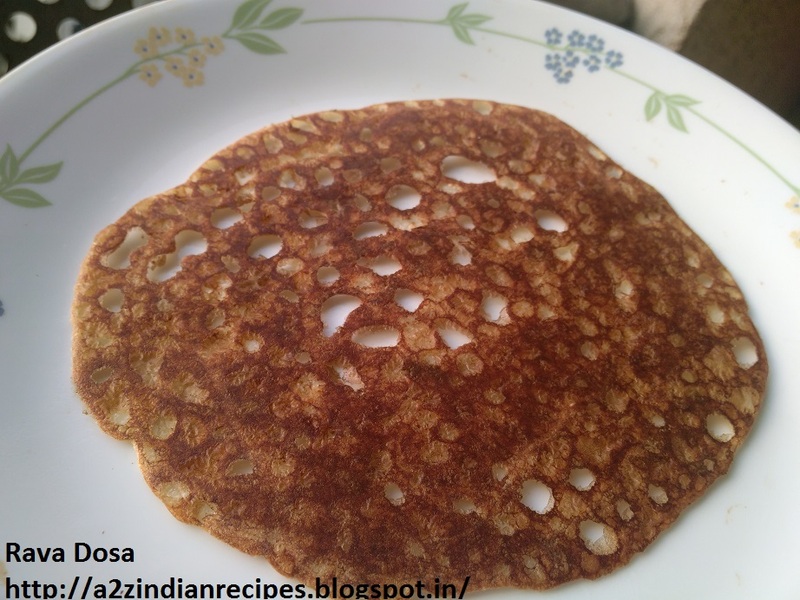 Serve the rava dosa hot with coconut chutney/sambar/potato bhaji.